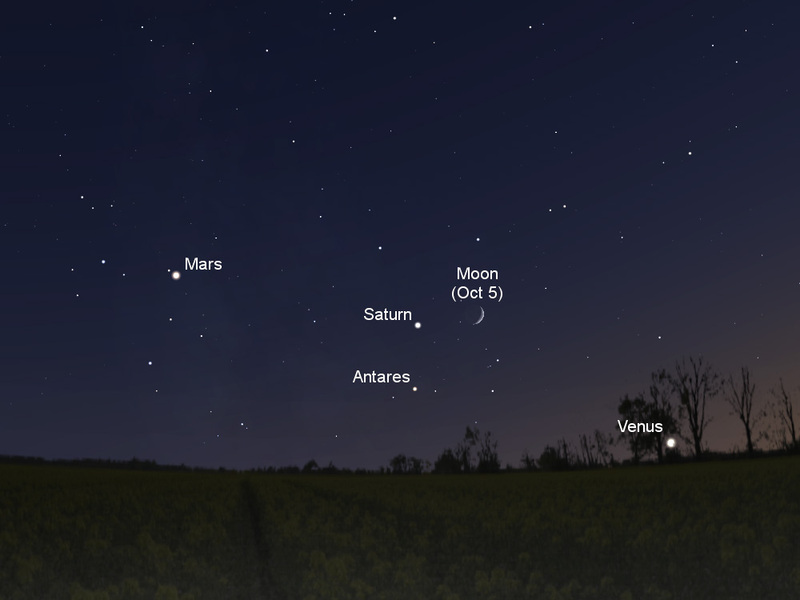 Great photographic opportunity tonight and tomorrow with a crescent Moon near Saturn in the early evening sky. Mars is also visible a bit further east and if you have a clear view of the horizon you may catch a glimpse of Venus before it sets. This entry was posted in Events and tagged Astronomy, Moon by Benoit Guertin. Bookmark the permalink.